During the breeding season, Prothonotary Warblers are inhabitants of the wet forests of the eastern U.S., with the core of their breeding range in the southeast. Their striking yellow plumage, similar in color to the robes of papal clerks (prothonotaries), is often hidden deep in the swamp during the height of breeding season. 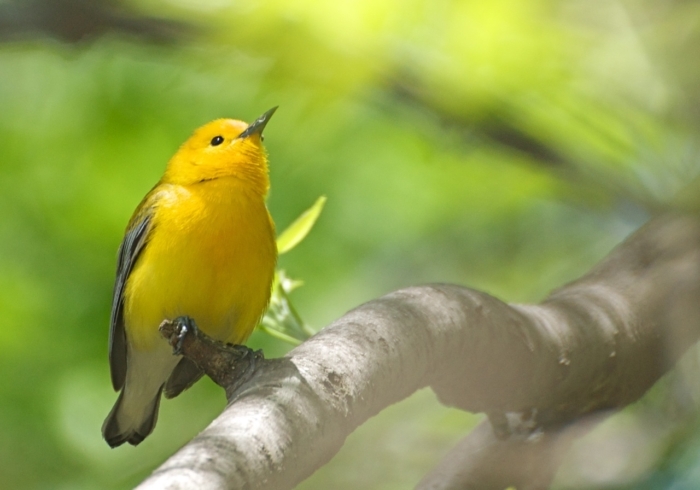 Prothonotary Warblers are one of two warblers that use nest cavities, intricately linking their life history to the age and structure of the forest. In the winter, they inhabit the mangrove forests of central and south America. Prothonotary Warblers likely face their gravest threats from the deforestation and degradation of wintering and breeding habitats. 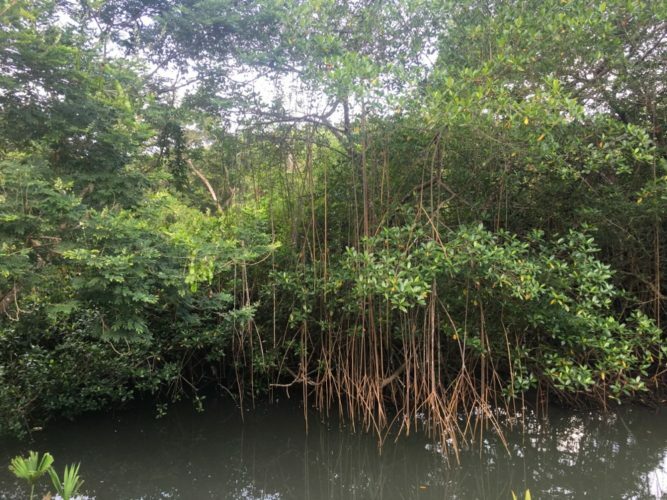 The mangrove habitats in northern South America where the greatest numbers of Prothonotary Warblers overwinter, are being deforested at an alarming rate. 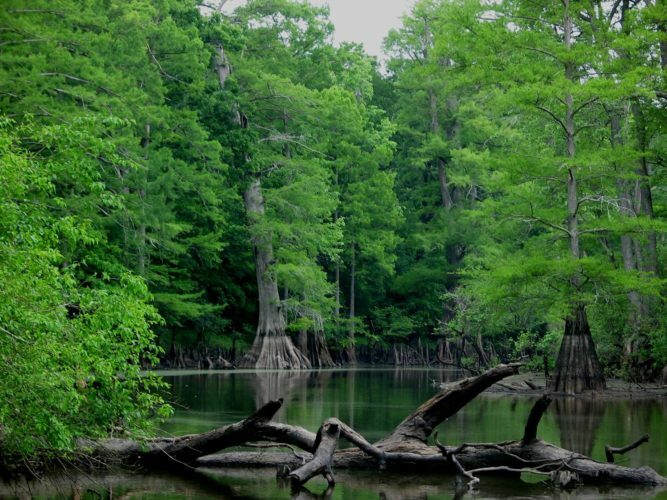 In the Southeastern U.S., conversion of bottomland hardwood forests to other uses, coupled with changes in forest structure, likely affect the amount of suitable breeding habitat. Conservation efforts are currently underway through linked research efforts to better understand the annual cycle of this unique species and where this species may be facing the severest limiting factors. Petit, L.J. 1991. Adaptive tolerance of cowbird parasitism by prothonotary warblers: A consequence of nest site limitation? Prothonotary Warblers breed in bottomland hardwood forests across the southeastern U.S., where their cavity-nesting habits intricately link their life history to the age and structure of the forest.